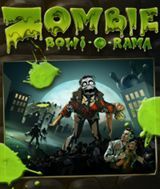 Download Zombie Bowl-o-Rama for free at FreeRide Games! 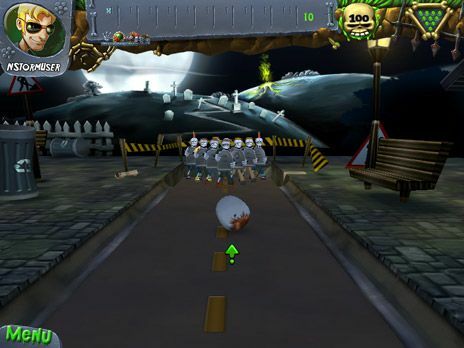 The Zombies have taken over your favorite lanes, and it´s up to you to send ´em back to the graveyard where they belong! Select a colorful character to take on the attacking Zombies with your favorite ball and a few tricks and treats. Give a whole new meaning to Zombie strike when you set 'em up and take ´em down with cool power ups and tricky obstacles. 6 screamy lanes to battle your way through to the big Showdown. 10 terrifying balls and 1 Zombie head to choose from. Crafty tricks to throw those Zombies for a loop: Werewolves, MiniCorpses, Buzz Saw and Dance Fever. Delectable treats to help you knock 'em dead: ZombieNator, Meatball, ZomBees and Brain Balls. Zombies advance if you miss them the first time, so get your aim on.